Buffalo has often been a stop for important dignitaries visiting the United States. 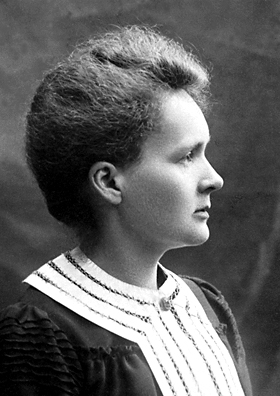 Of them one of the greatest minds of the twentieth century spent the night of June 16, 1921 in Western New York, Marie Sklodowska Curie. Born in Warsaw Poland in 1867, Marie Sklodowska would become a scientific superstar because of her research on radiation, and her discovery of the elements radium and polonium. This work would garner her two Nobel Prizes, one for physics in 1903 and one for chemistry in 1911. As part of a US tour to raise money for her research of radium, Curie stopped by Buffalo. Two days of parties and events were planned for the great scientist, but illness kept her in bed for most of the time. The only event held for her while she was in Western New York was a ceremony by the Buffalo Society of Natural Sciences bestowing on her an honorary membership in the orgnization. Following the stay, Mme. Curie traveled to Boston and eventually Washington.